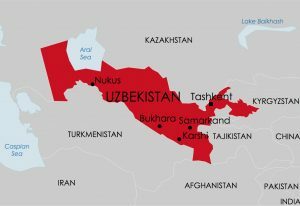 Police in Uzbekistan’s eastern Namangan Region raided a home in Pap on 19 November and detained eight Christians who had gathered for a meal and Bible reading. Police broke in at 8 pm, searched the flat without a warrant and confiscated Bibles, Christian booklets, DVDs and CDs, all bought legally from the state-registered Bible Society of Uzbekistan. Police also confiscated a laptop and a desktop computer. Officers took all eight Christians to Pap Police Station, questioned them until 3 am the next morning and forced most of them to sign statements written illegally by the police. Those who signed did so for fear of state reprisals. The Christians said no warrant had been produced for the detention. Police told the Christians that the confiscated materials would be sent to the state Religious Affairs Committee in Tashkent for “expert analysis”. (“Expert analyses” are often used to justify the confiscation or destruction of religious texts.) They also said the Christians may be prosecuted for possession of the materials, despite the fact that they had bought legally. The Christians are waiting to hear whether they are going to be charged with any offence. On 30 October, 31 Christians in Tashkent Region were tried at Kibrai District Administrative Court in Tashkent. They were part of a group of forty Christians from an ethnic Korean church and other Protestant churches whose retreat in Tashkent Region was raided on 30 September. Local Christians in the group were fined between five and twenty times the minimum monthly wage, while four South Koreans were deported. About twenty officers of Bostanlyk District Police in Tashkent Region raided, detained and questioned the group and confiscated numerous items of church property without a search warrant. Police filmed the centre where the retreat was taking place, filmed those taking part and confiscated numerous items of church property including a laptop and musical equipment. About two and half hours after the raid began, police forced the participants (including babies and young children) into a bus and took them to the local police station. They were kept there for thirty minutes until higher authorities ordered the police to take the them to Bostanlyk District Police Station, where police applied severe “psychological pressure” to the detainees. This resulted in one of the women and a five-year-old-girl having to be taken to hospital. The police released all the detainees at 2 am on 1 October, after twelve and half hours of detention. A Christian who did not want to be named said the police brought four unidentified women with them, who began “pushing retreat participants around, searched the bags of women only, and stole anything they wanted from the bags“. The Christian said that in the past the police have “used such women during their raids as witnesses to open prosecutions against Protestants“. The thieves and the officials suspected of torture were not prosecuted, but 31 of the Protestants were prosecuted under Administrative Code Articles that relate to religious materials, meetings and teaching without permission. On being questioned about the raid, the duty officer at Bostanlyk District Police Station told Forum 18, “no such raid took place“.